Fassada wall plates are a simple and elegant solution designed to match your existing traditional opening dimmers, switches and accessories. They feature a clean appearance with no visible screws and mount flush to the wall. Fassada wall plates are oversized to hide gaps around wall boxes and attach securely and snugly in place regardless of the wall condition. Fassada wall plates are easy to install. Simply separate the front and back plates, attach the back plate to the wall with the screws provided and snap on the front plate for a clean and sophisticated look in just minutes. Claro wall plates are a simple and elegant solution designed to match your existing decorator opening dimmers, switches and accessories. They feature a clean appearance with no visible screws and mount flush to the wall. Claro wall plates are oversized to hide gaps around wallboxes and attach securely and snugly in place regardless of the wall condition. Claro wall plates are easy to install. Simply separate the front and back plates, attach the back plate to the wall with the screws provided and snap on the front plate for a clean and sophisticated look in just minutes. This beautiful Claro wall plate is designed to match your Maestro, Diva and Skylark dimmers and fan-speed controls. 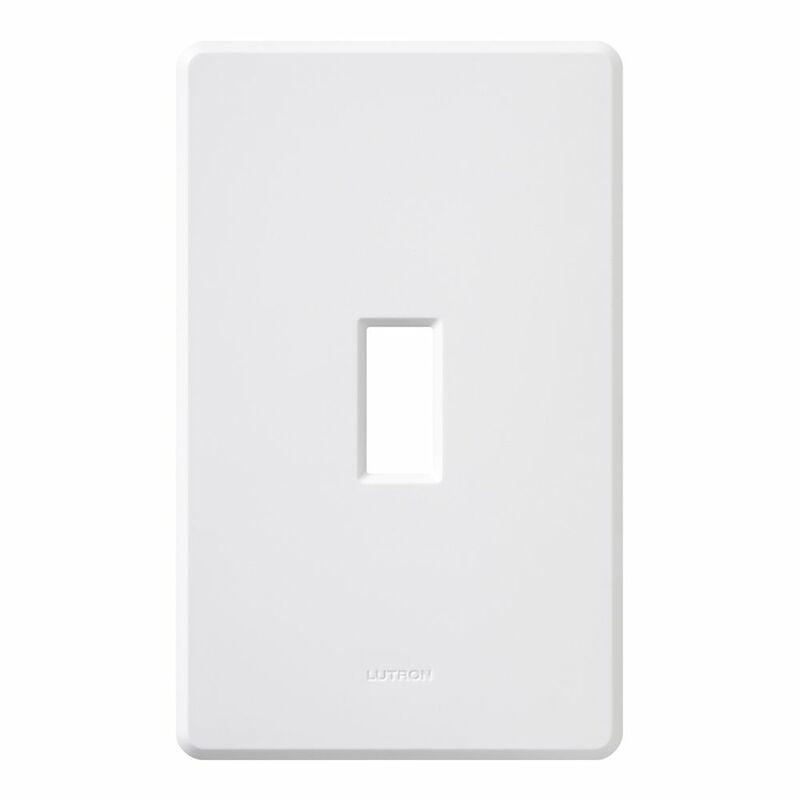 The perfect complement for any manufacturers' standard designer-style dimmers, fan-speed controls, switches, receptacles, cable and telephone jacks, this wall plate uses precise multigang product alignment ensured by a one-piece wall plate adapter. With an appealing gloss finish to perfectly complement the finish of Maestro, Diva and Skylark products, this oversized wall plate is perfect for hiding gaps around wallboxes. With an added superior snap-on design, this wall plate attaches securely and snugly in place regardless of wall condition. Claro wall plates are a simple and elegant solution designed to match your existing decorator opening dimmers, switches and accessories. They feature a clean appearance with no visible screws and mount flush to the wall. Claro wall plates are oversized to hide gaps around wall boxes and attach securely and snugly in place regardless of the wall condition. Claro wall plates are easy to install. Simply separate the front and back plates, attach the back plate to the wall with the screws provided and snap on the front plate for a clean and sophisticated look in just minutes. Fassada 1-Gang wall plate, White Fassada wall plates are a simple and elegant solution designed to match your existing traditional opening dimmers, switches and accessories. They feature a clean appearance with no visible screws and mount flush to the wall. Fassada wall plates are oversized to hide gaps around wall boxes and attach securely and snugly in place regardless of the wall condition. Fassada wall plates are easy to install. Simply separate the front and back plates, attach the back plate to the wall with the screws provided and snap on the front plate for a clean and sophisticated look in just minutes.